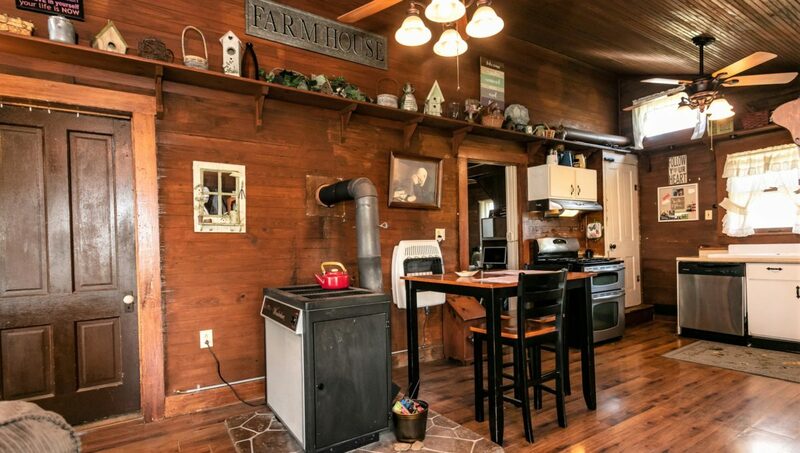 Are you ready to get away from it all? 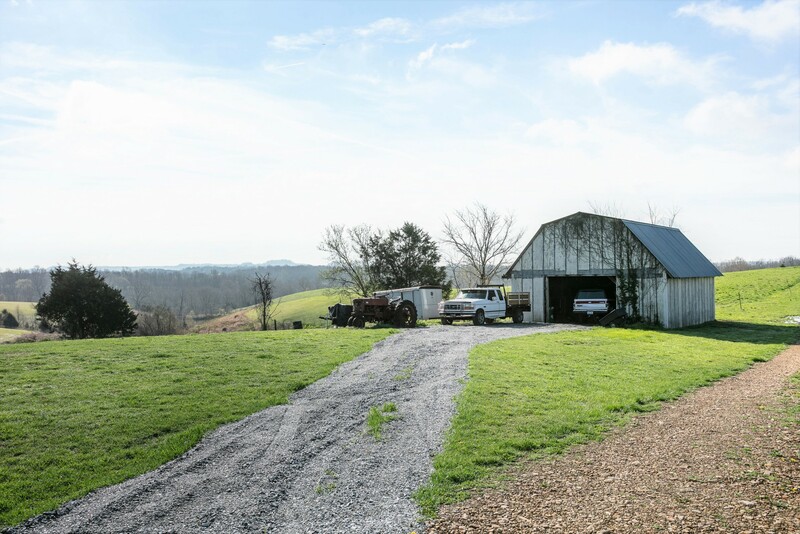 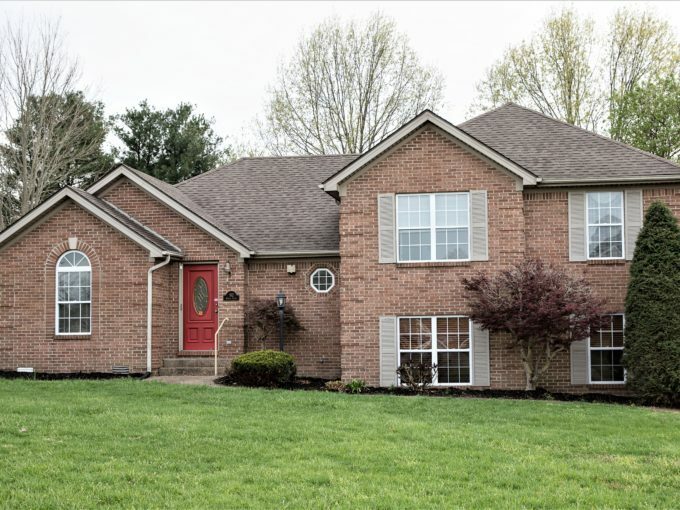 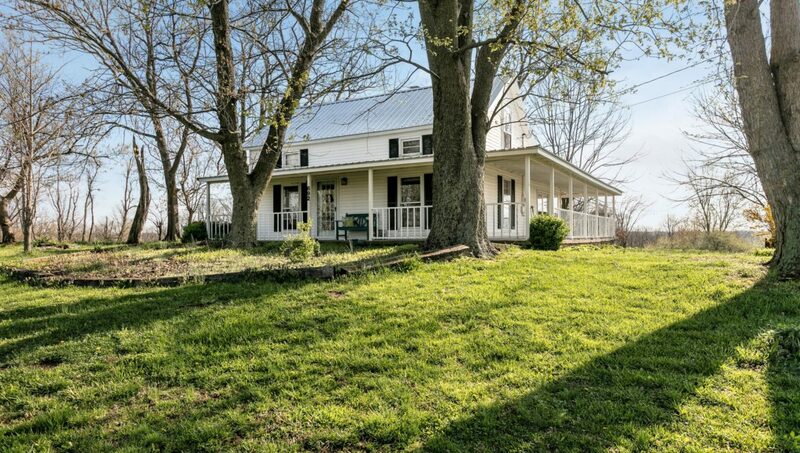 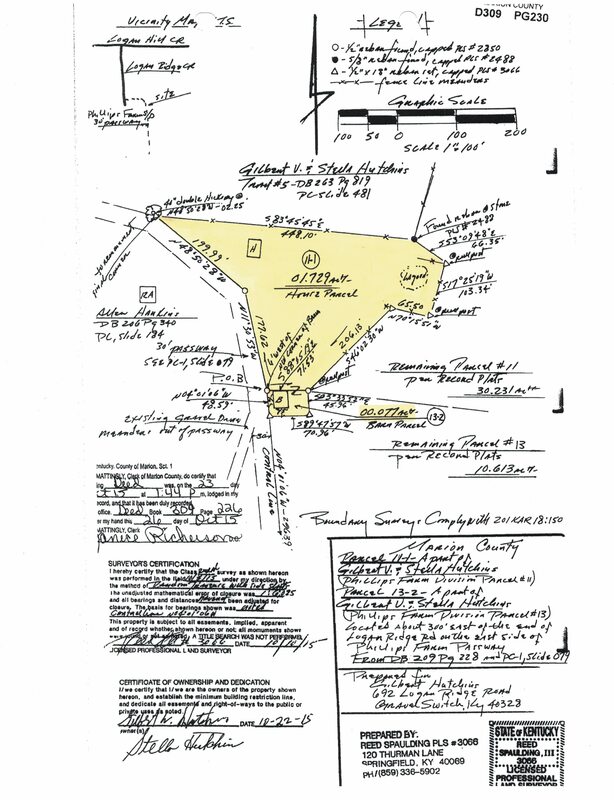 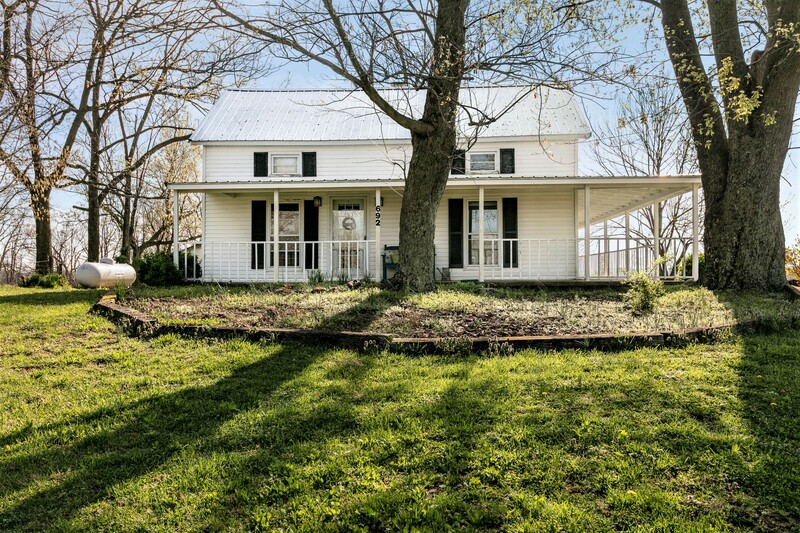 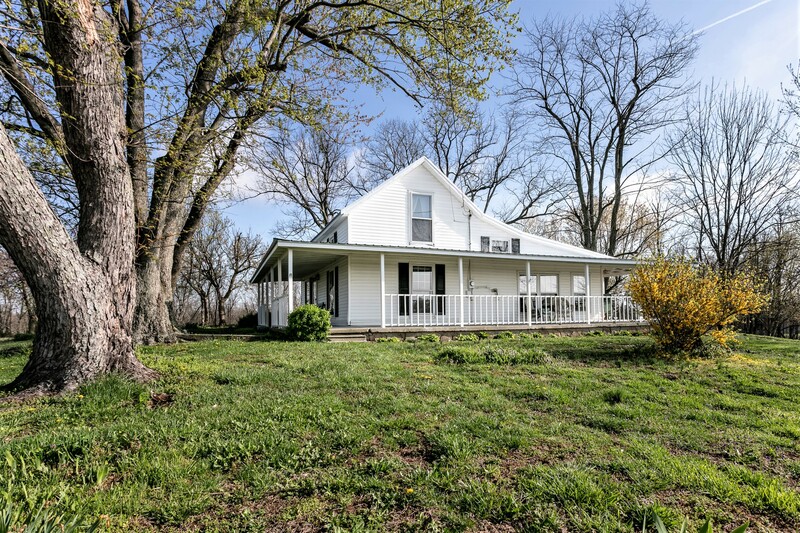 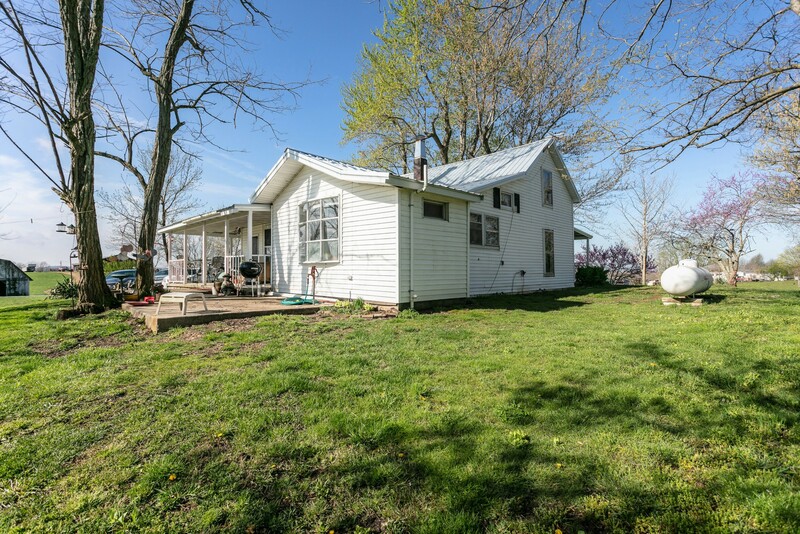 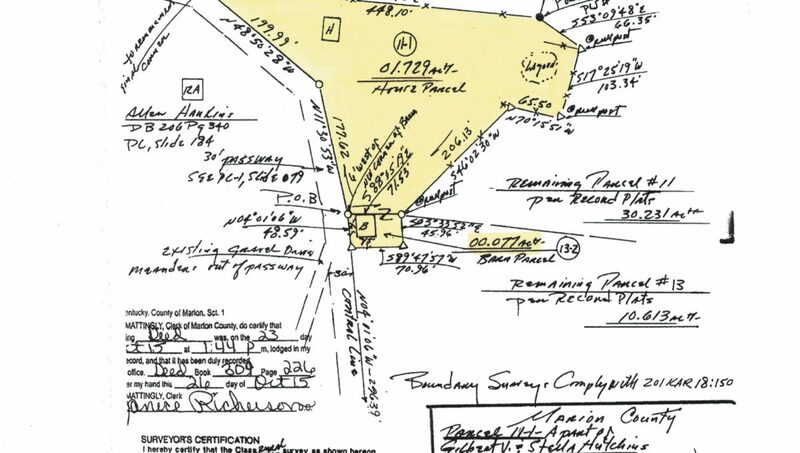 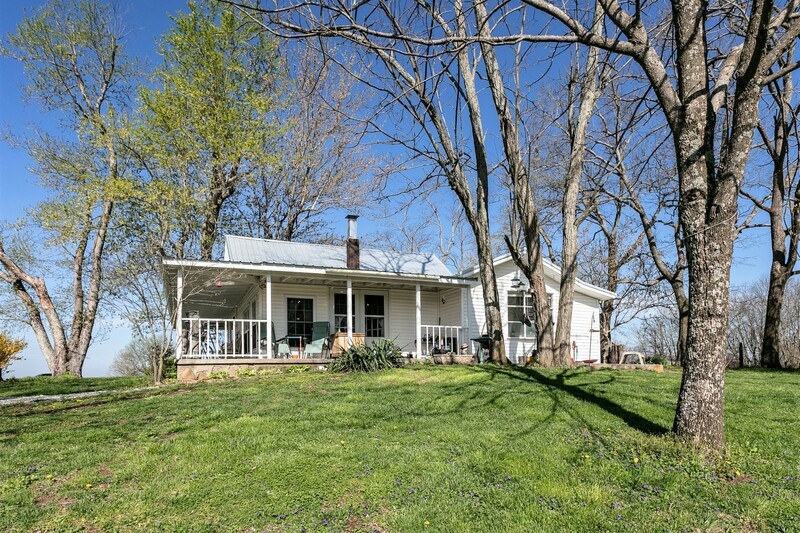 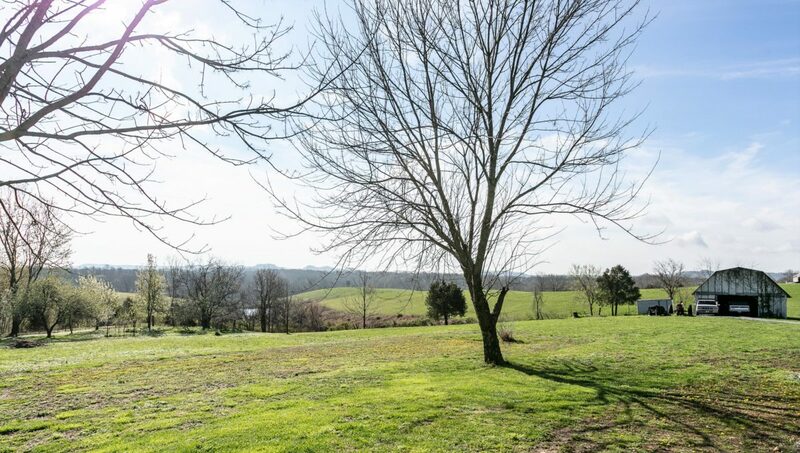 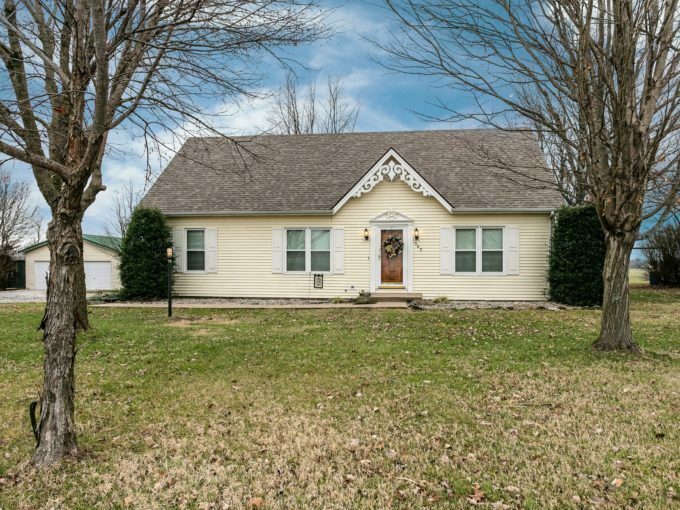 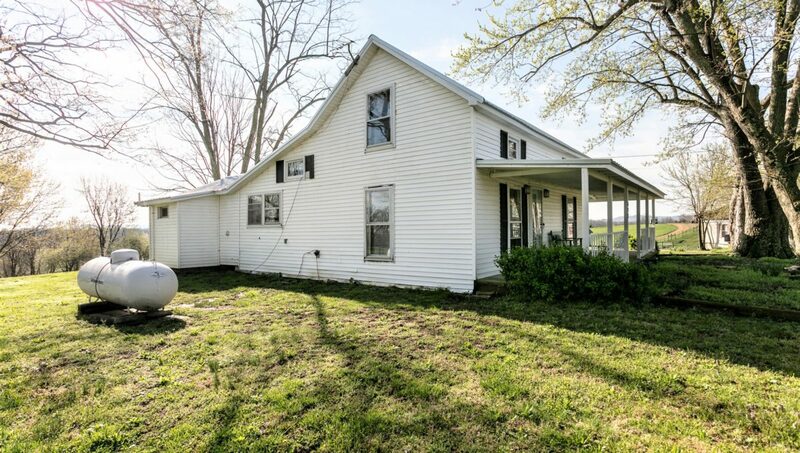 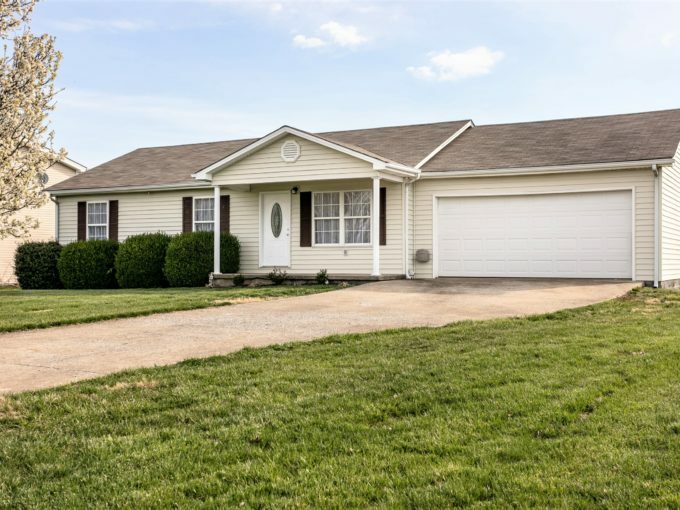 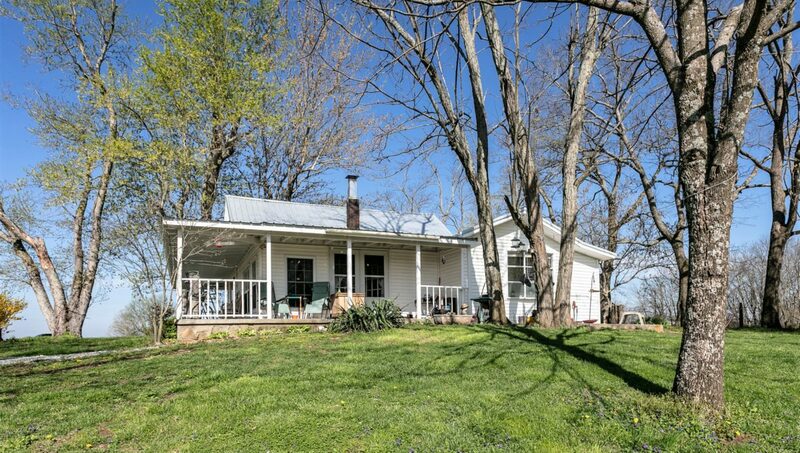 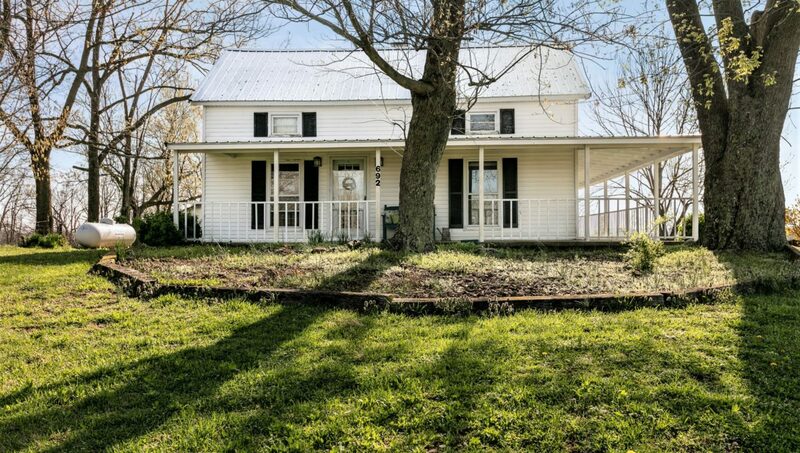 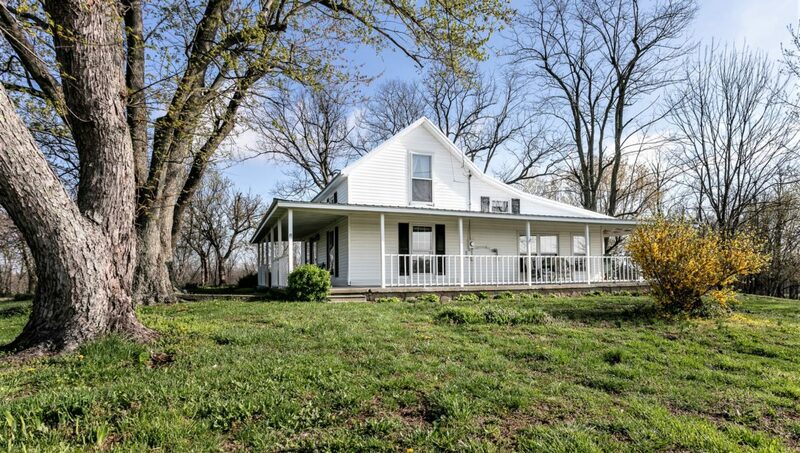 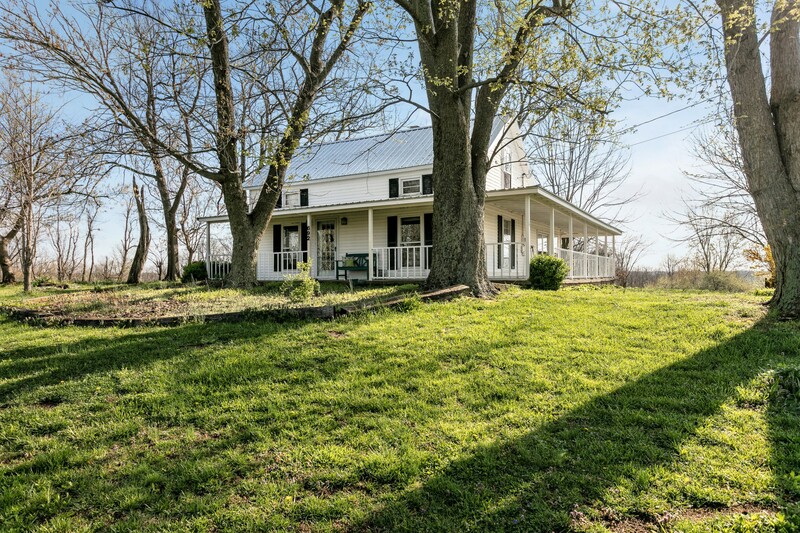 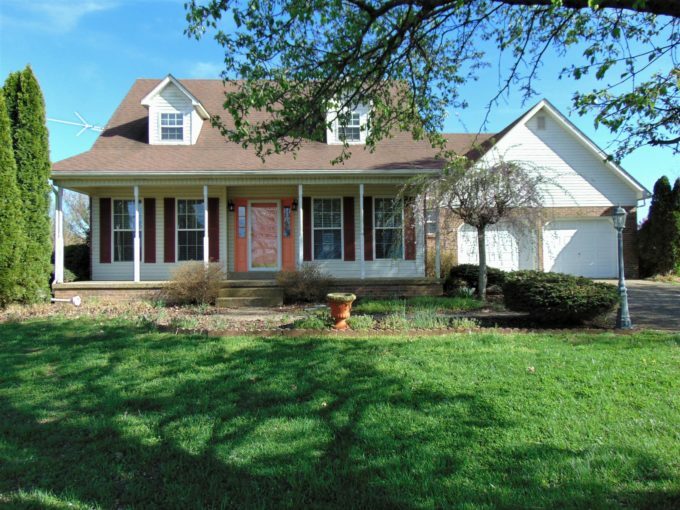 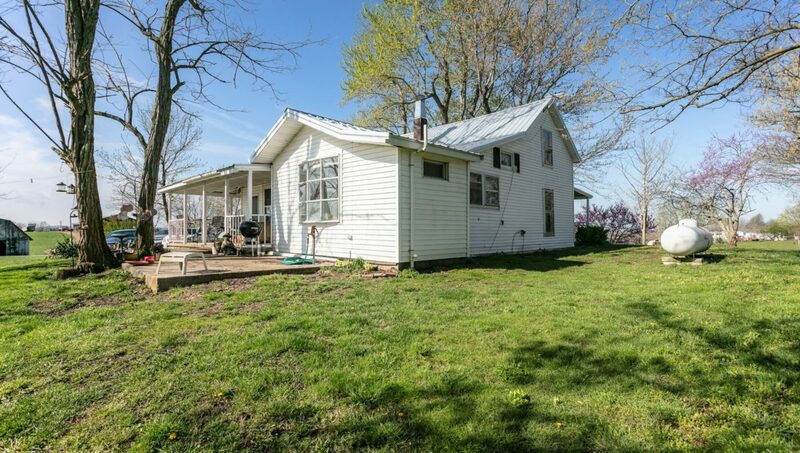 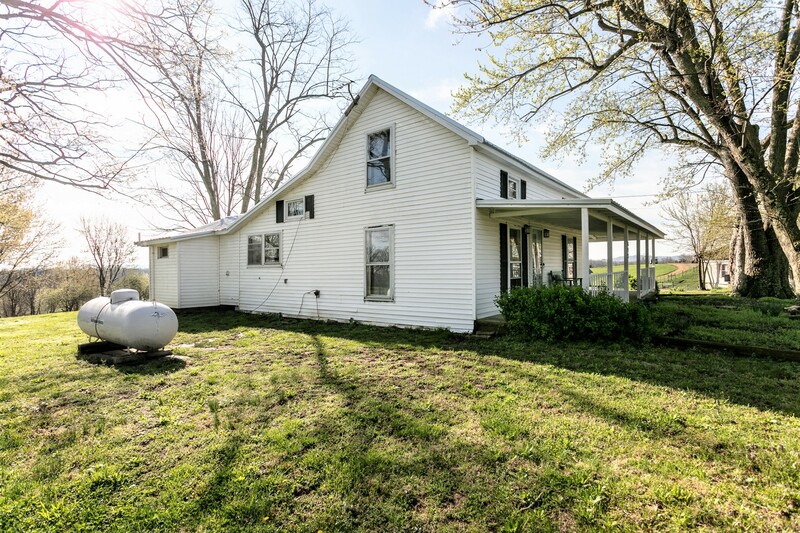 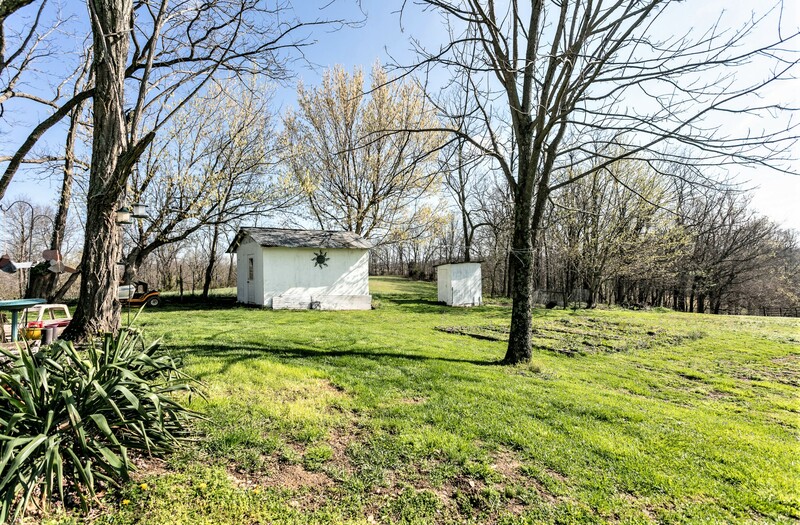 Here you go…This nice home perched on 1.806 acres +/- (per survey) is tucked away in the northeastern corner of Marion County in Gravel Switch amongst the rolling knob land in beautiful central Kentucky! 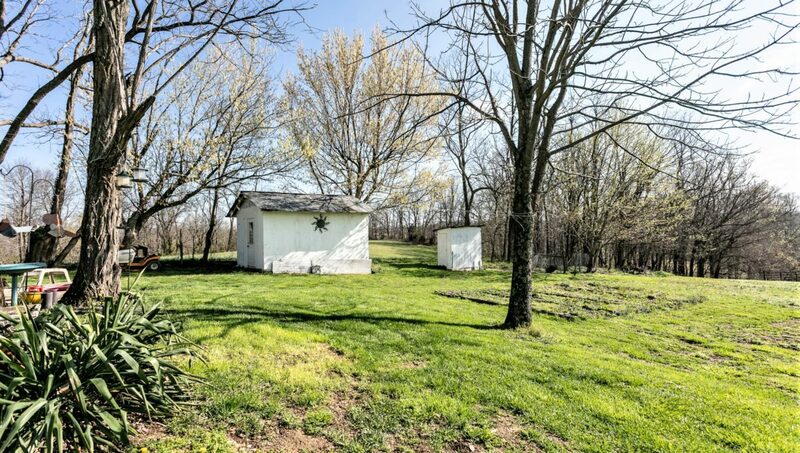 This home provides that rustic charm from much simpler times with absolutely amazing views…Million dollar views for ONLY $69,900!!! 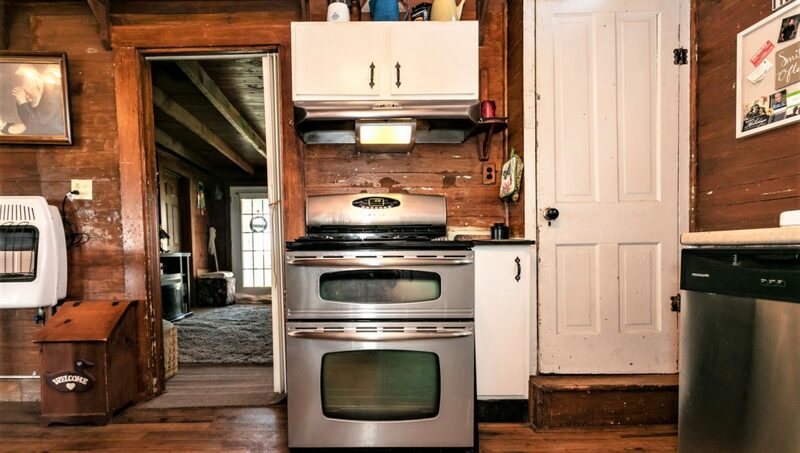 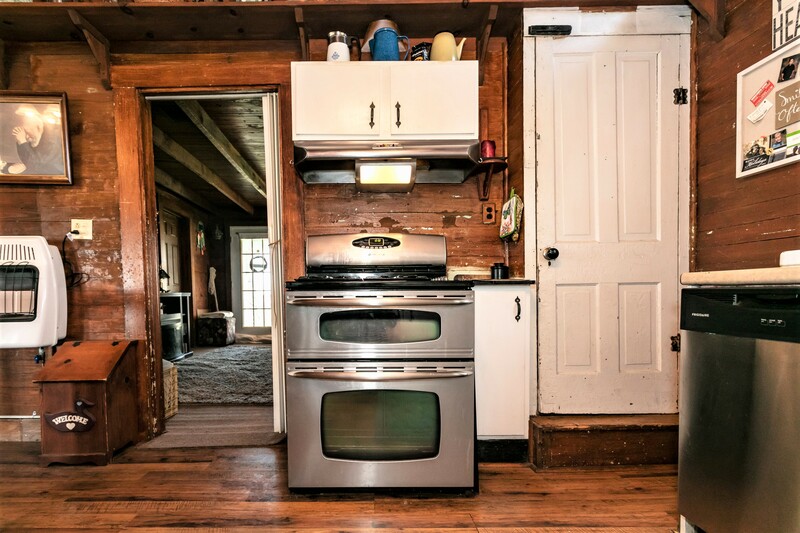 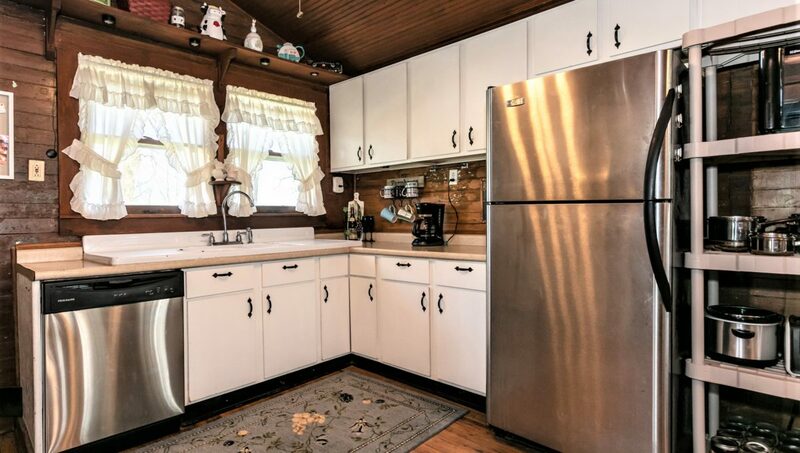 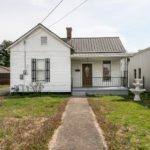 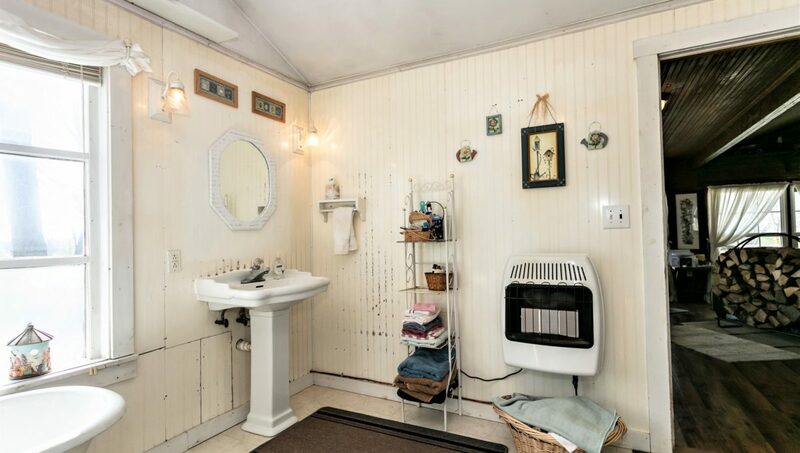 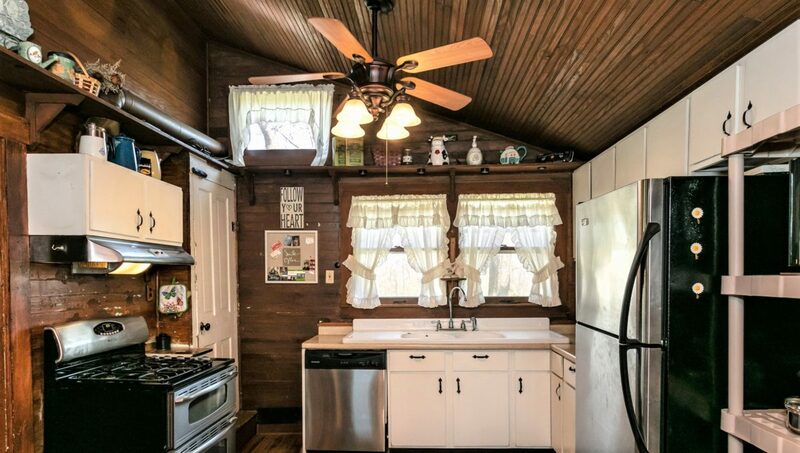 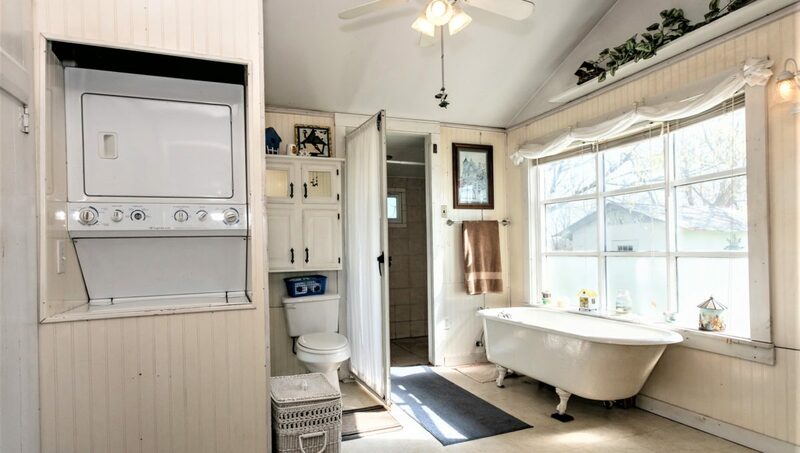 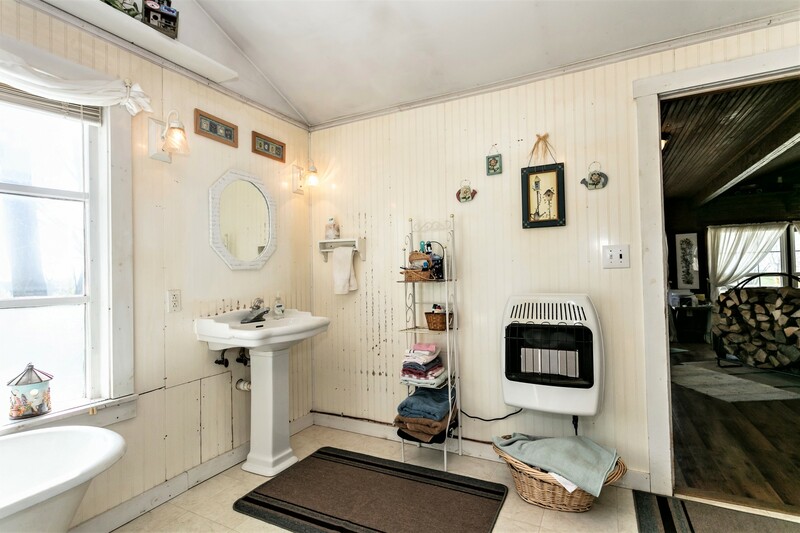 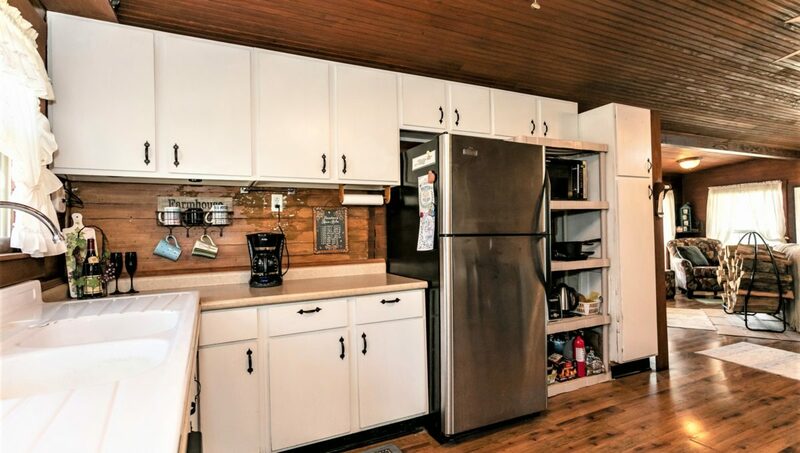 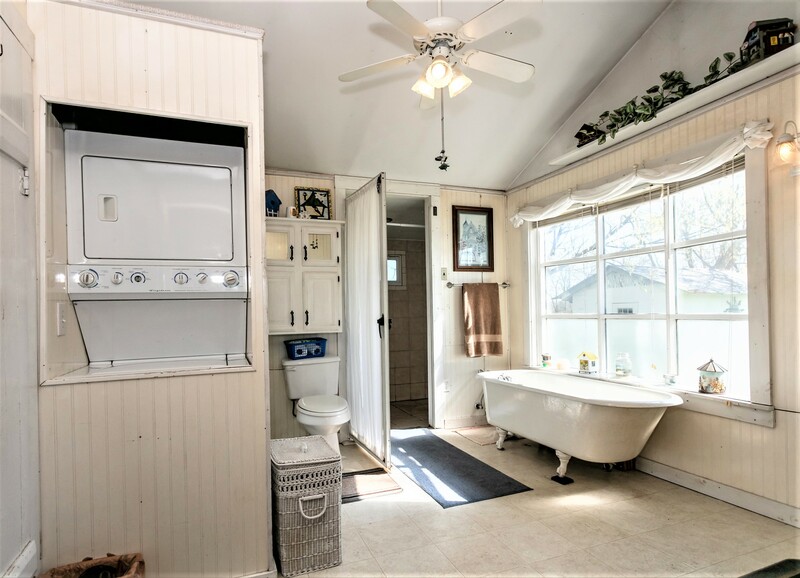 This charming home features 3 bedrooms (2 downstairs / 1 upstairs), a generously sized full bathroom / utility room combination with a large bay window, a pedestal sink, claw foot tub & a ceramic tiled walk-in shower (includes the Frigidaire stackable washer & dryer)…Also a spacious kitchen (includes the stainless steel appliances – refrigerator, dishwasher & gas stove w/ double oven) that flows openly to a dining area / living area combination (includes the wood stove – plus 3 propane space heaters were installed in 2018)! 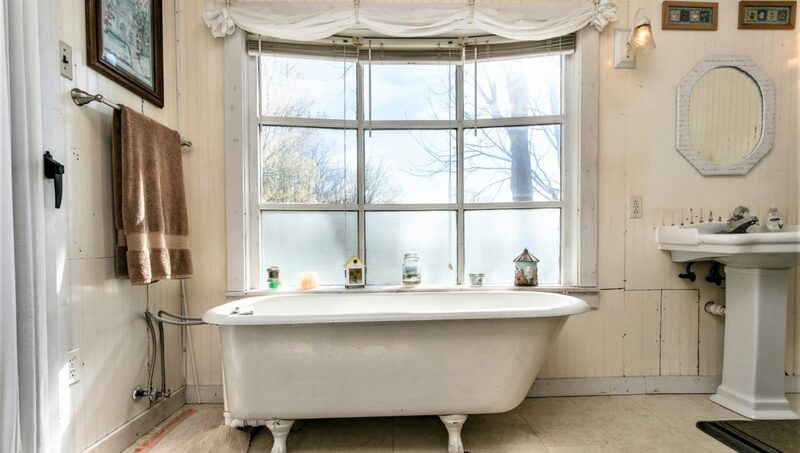 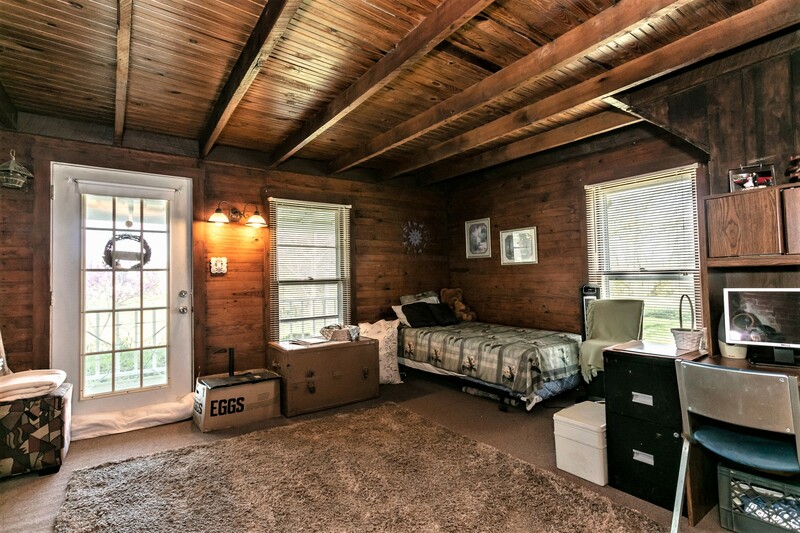 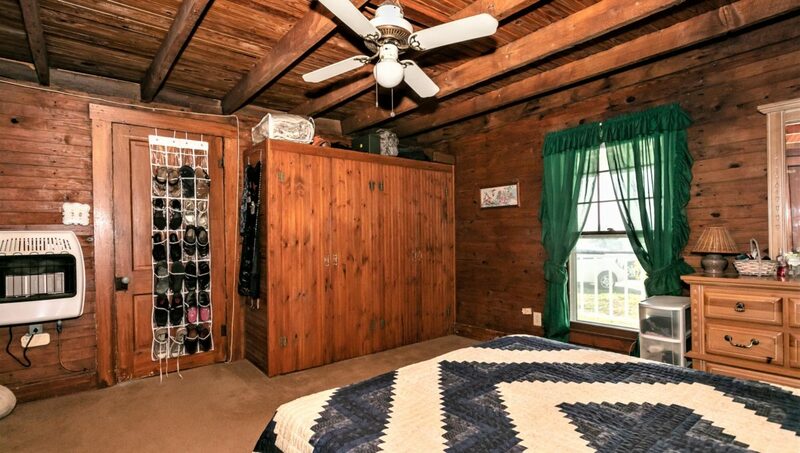 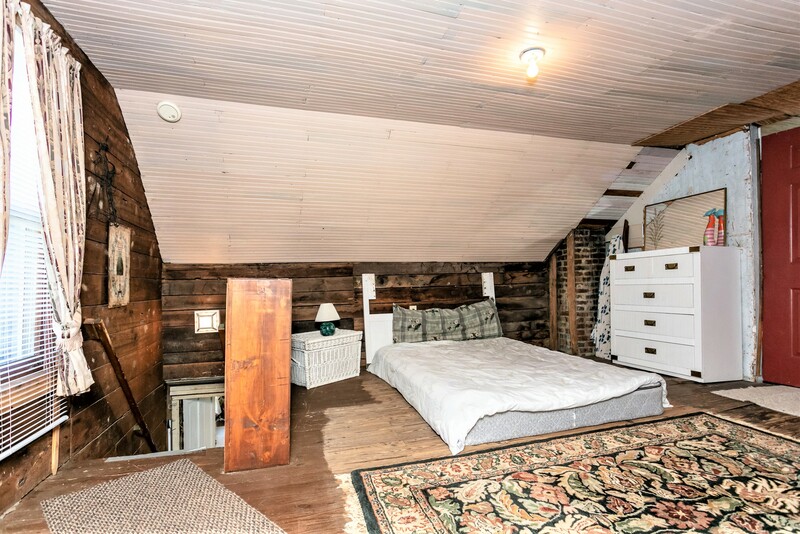 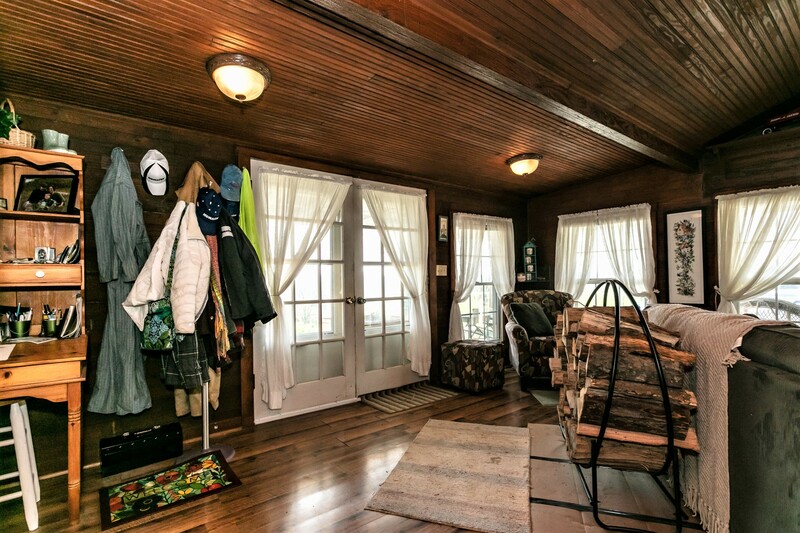 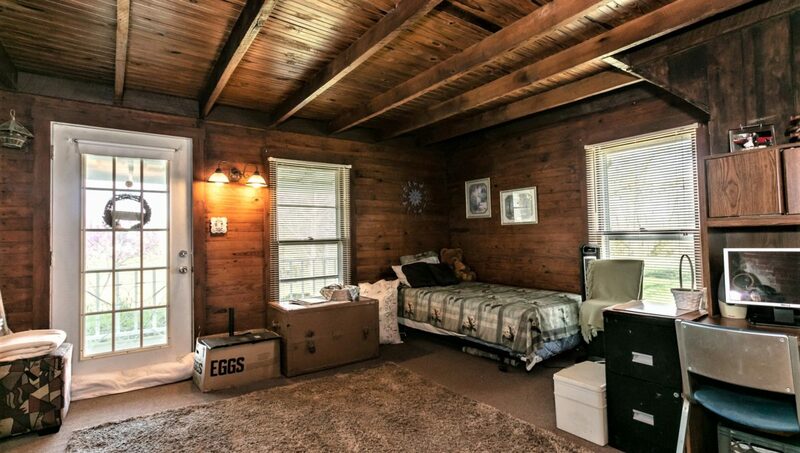 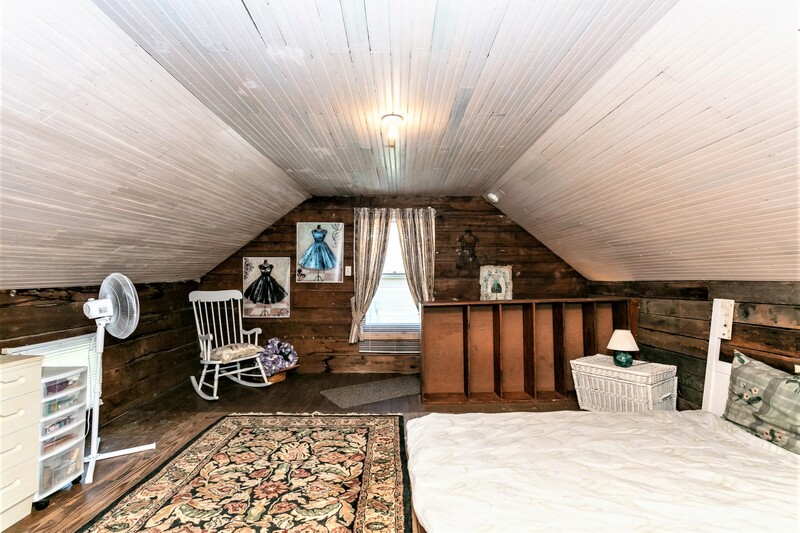 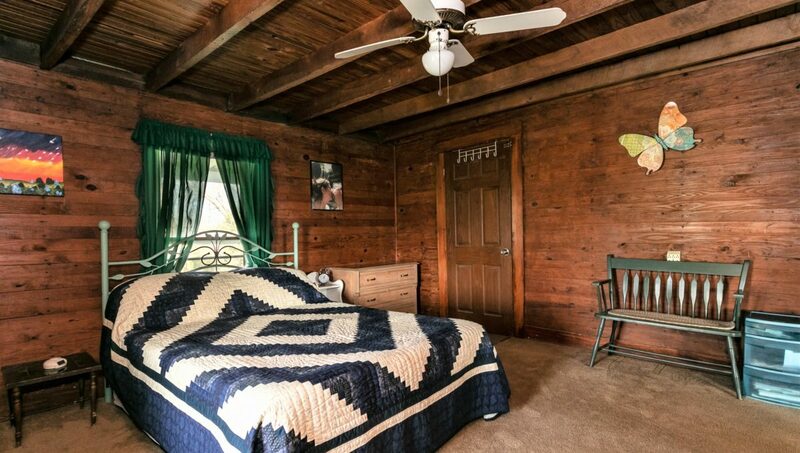 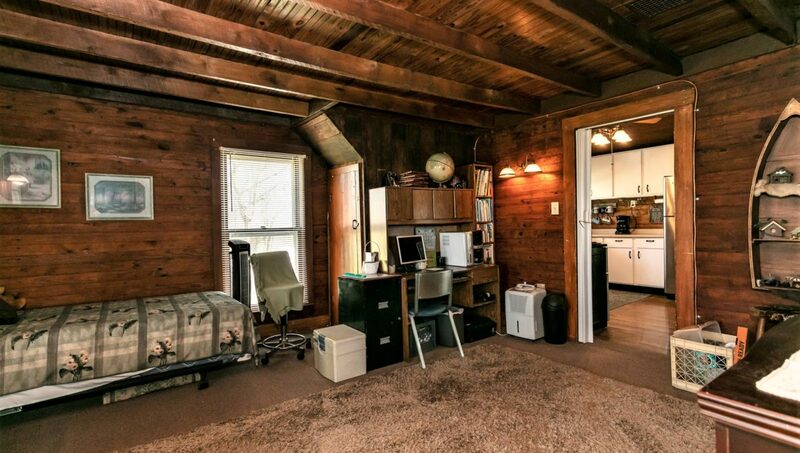 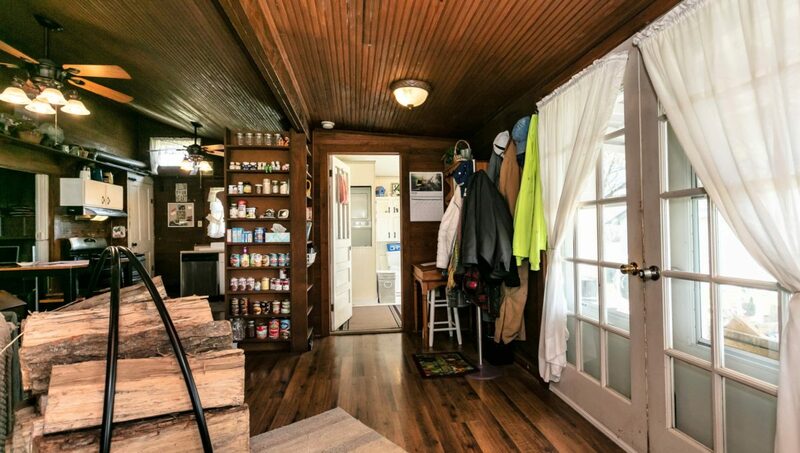 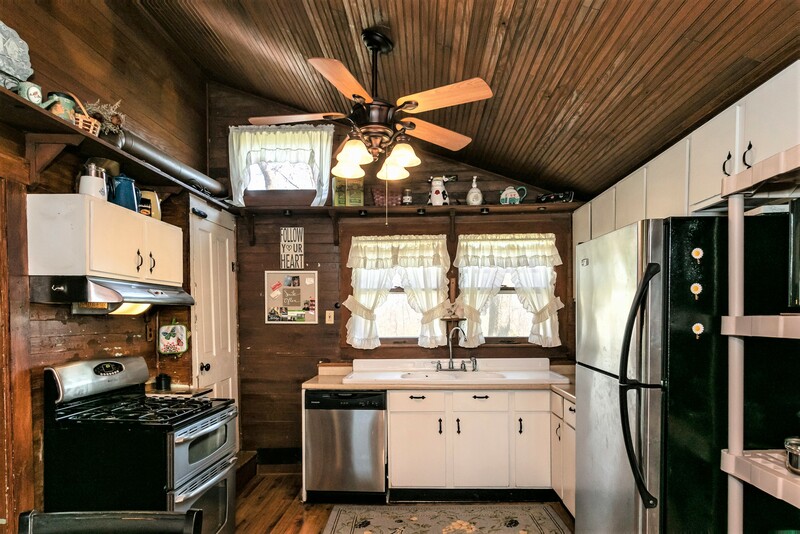 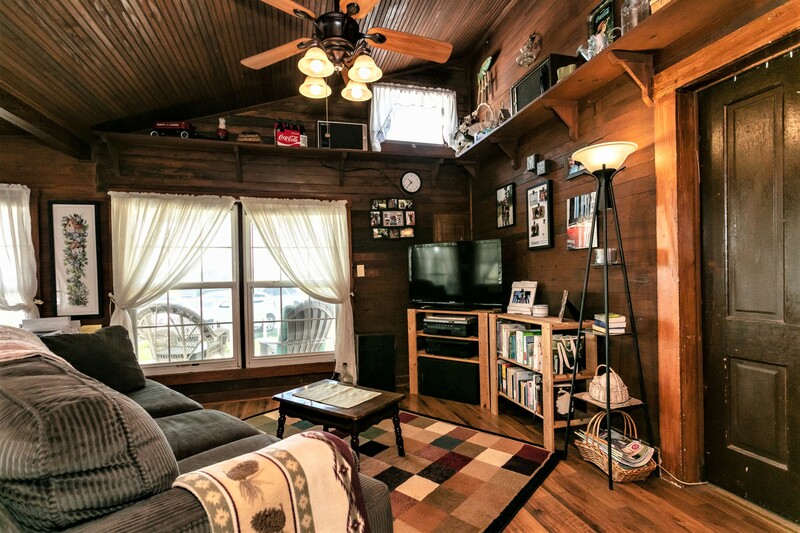 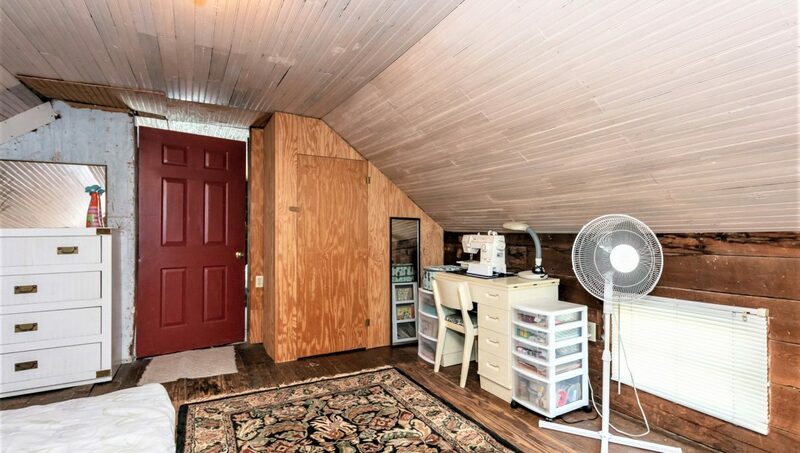 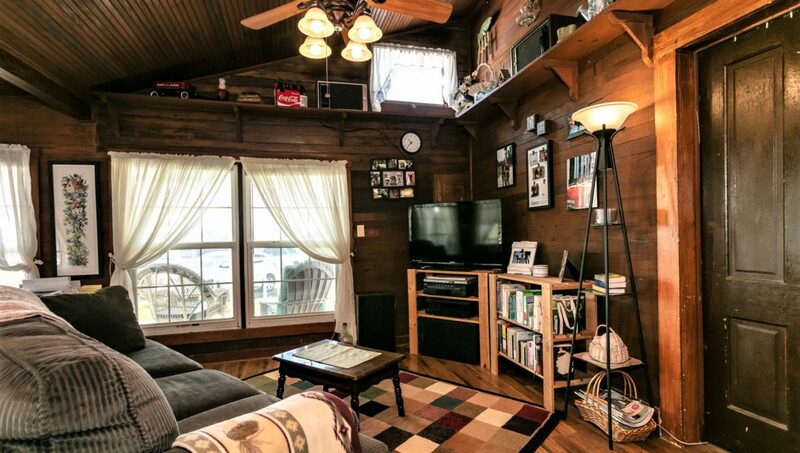 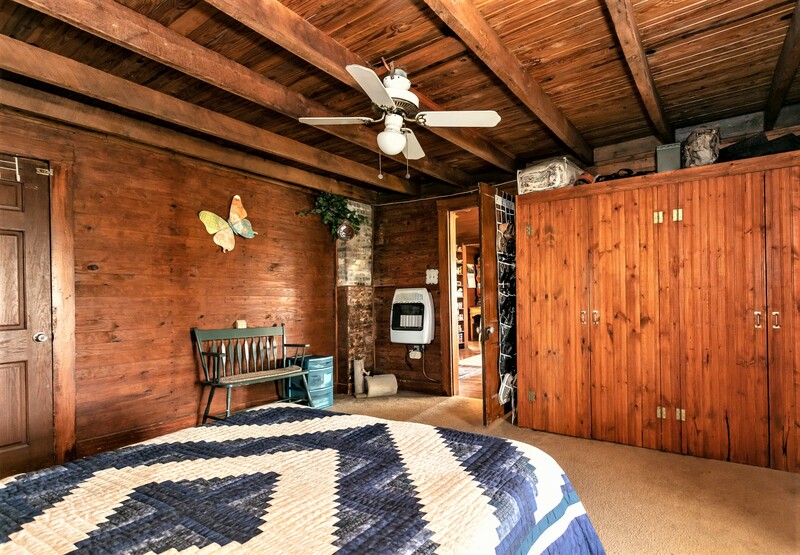 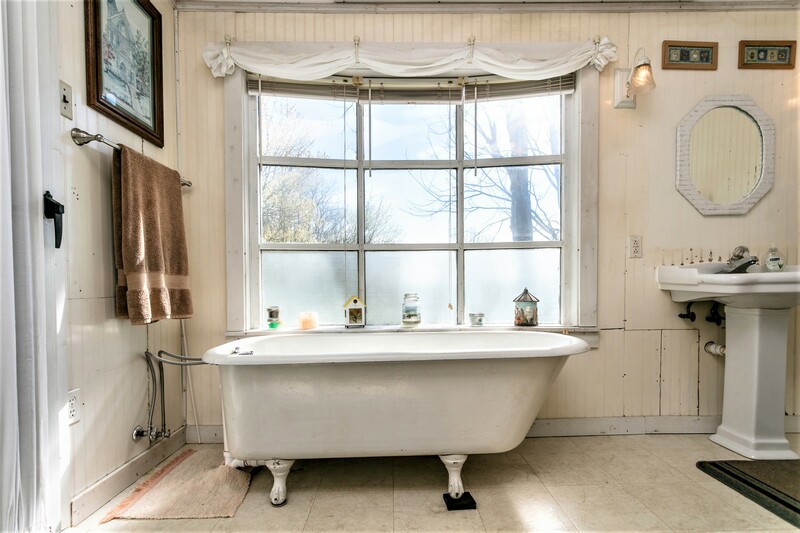 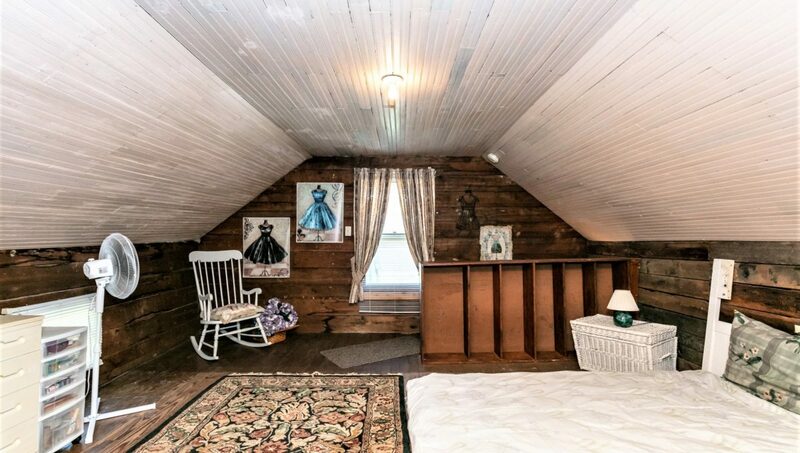 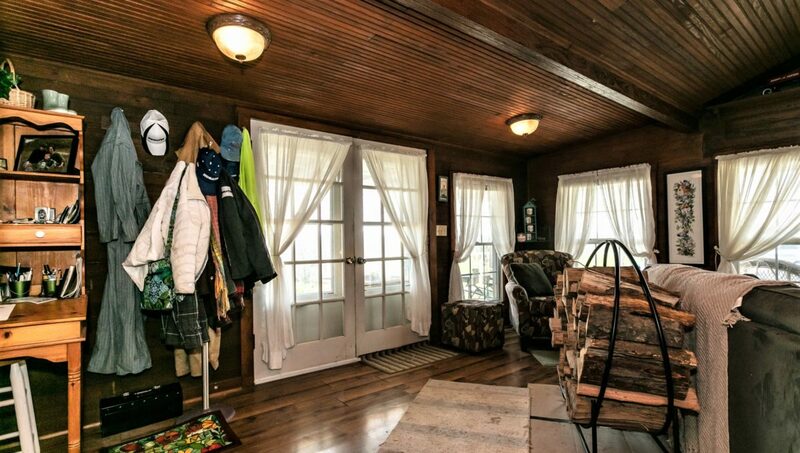 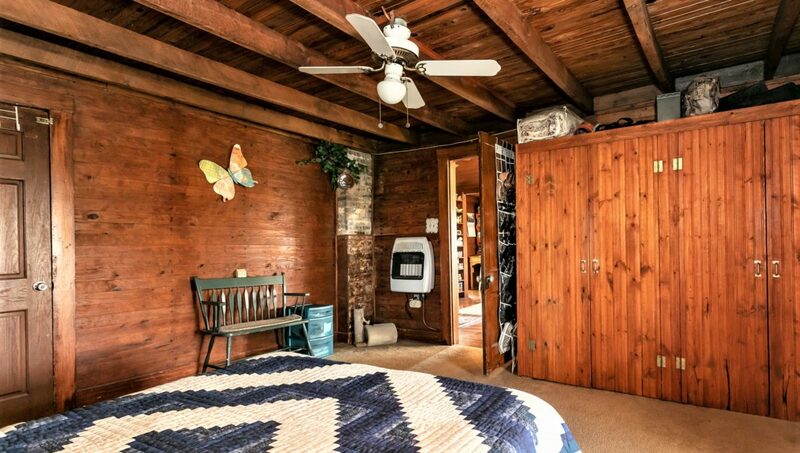 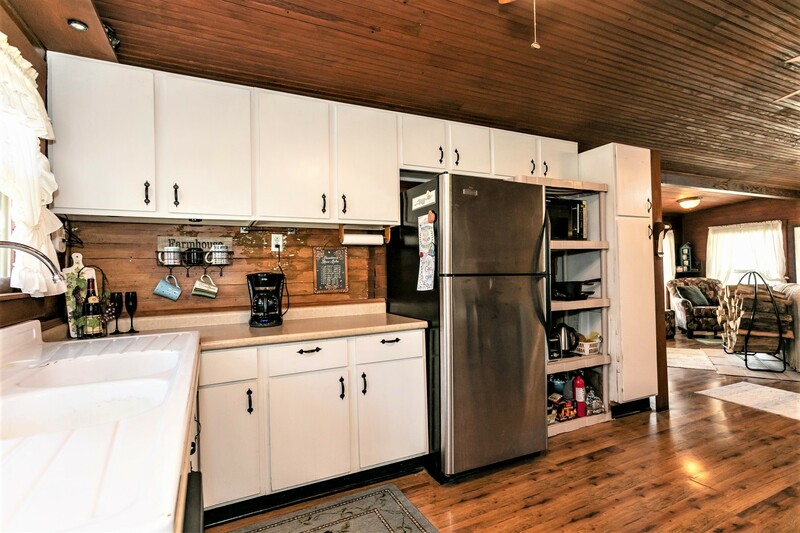 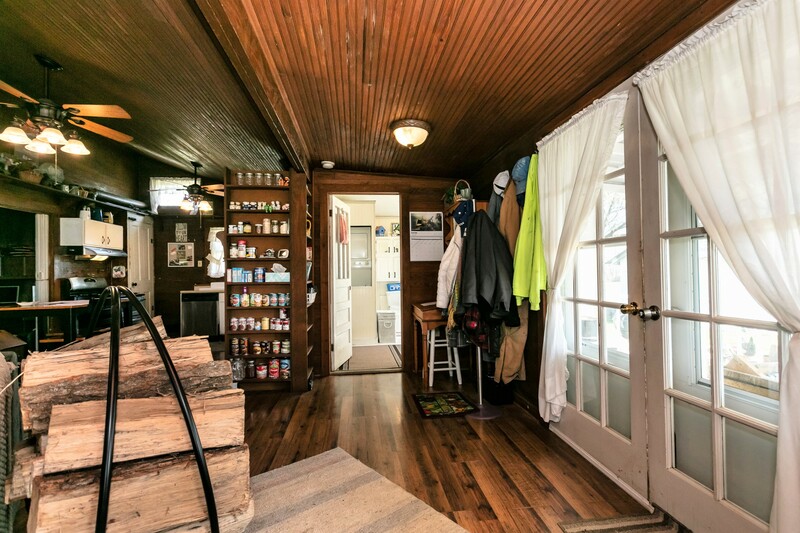 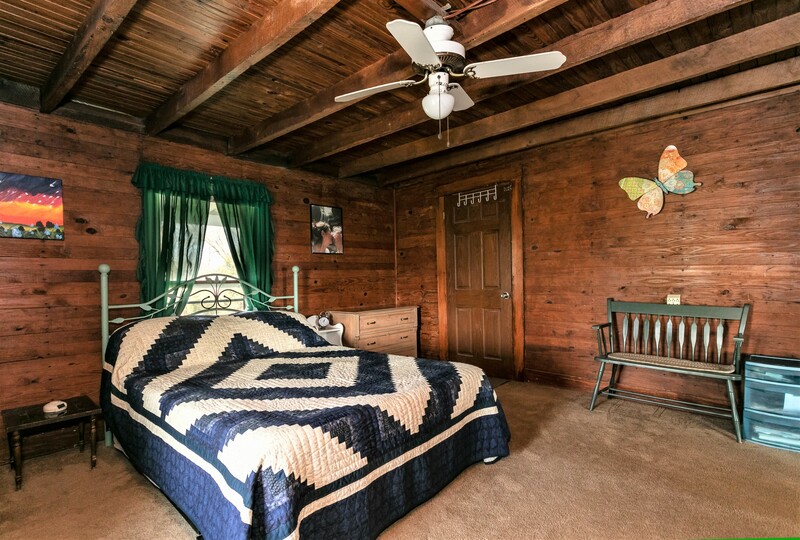 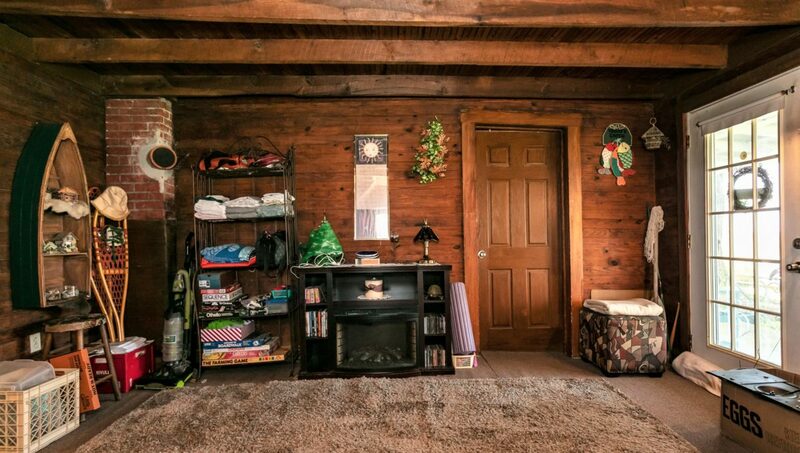 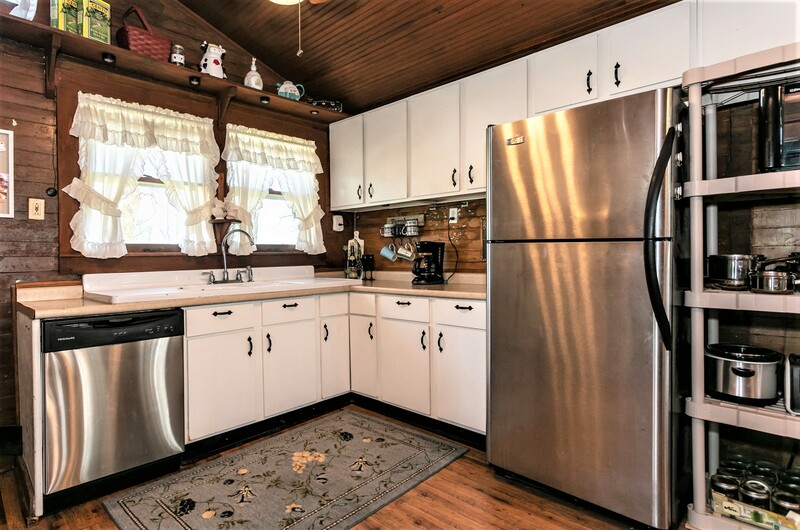 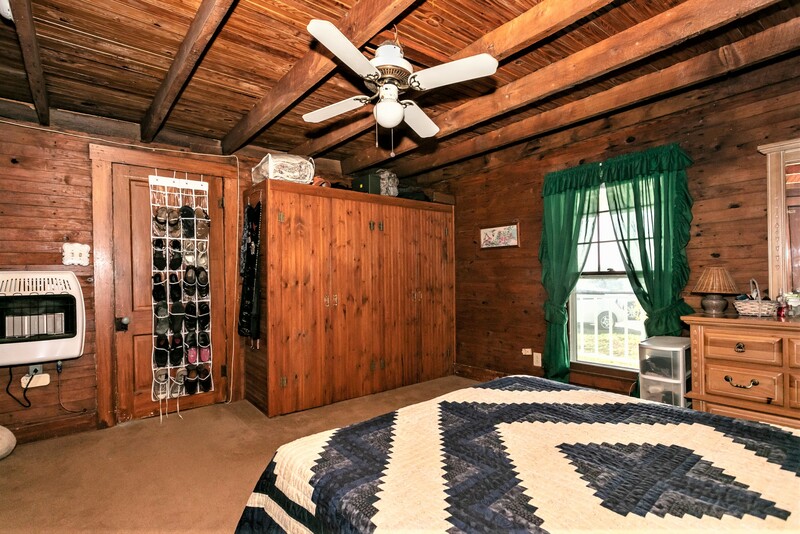 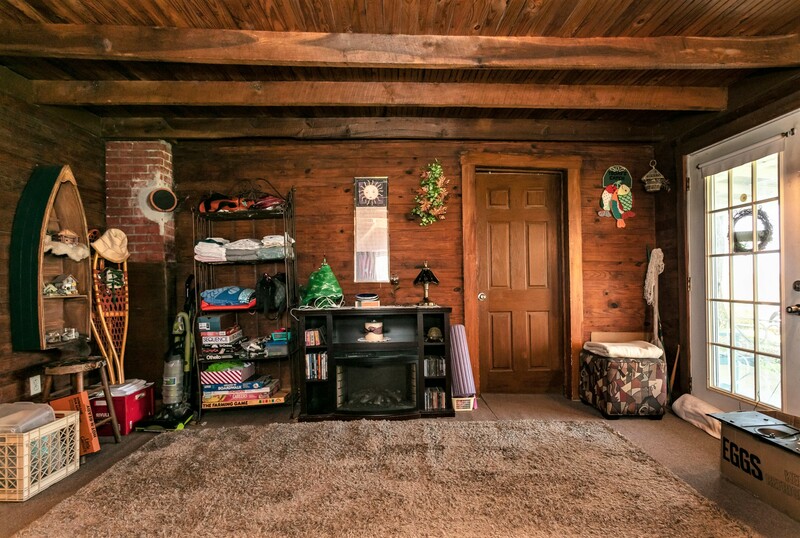 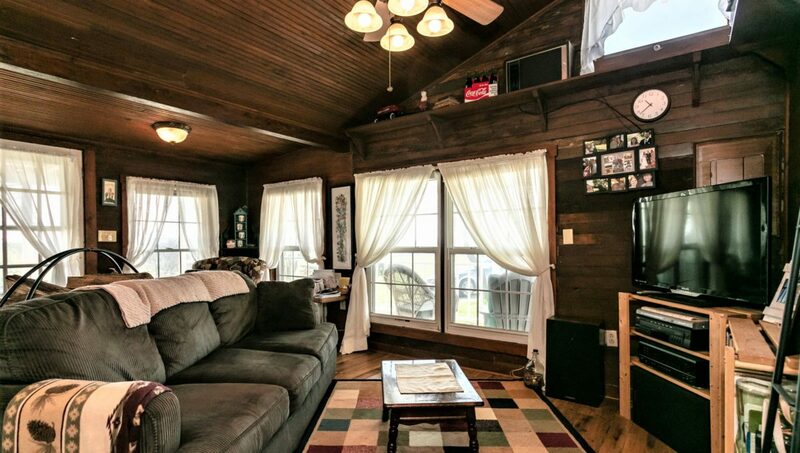 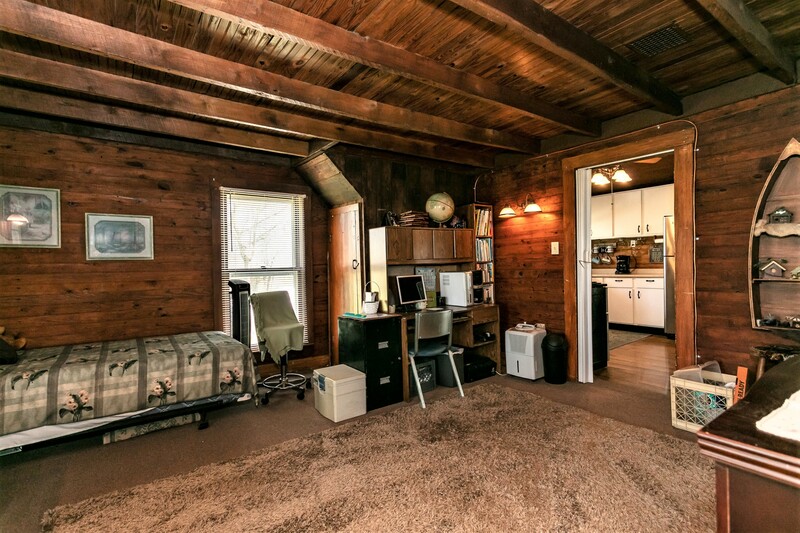 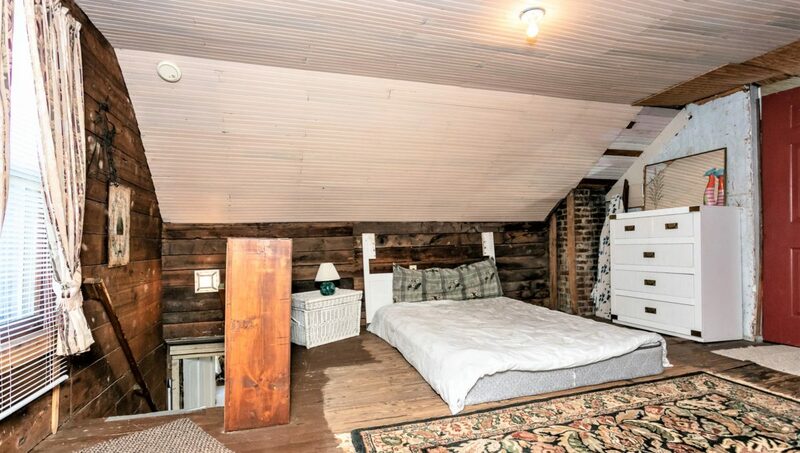 Inside you will love the look & feel of the rustic wooden walls and ceilings! 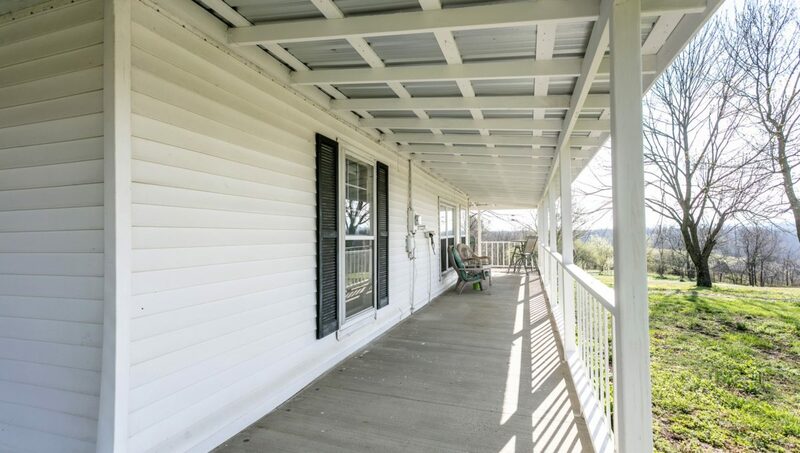 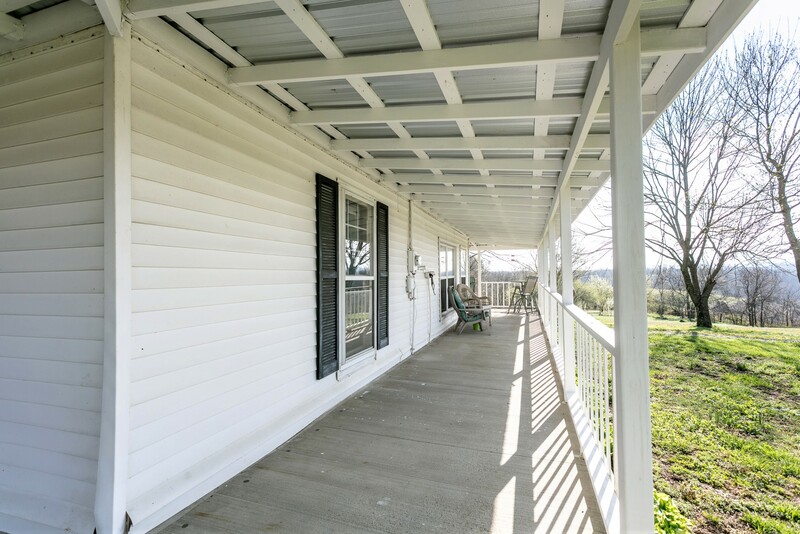 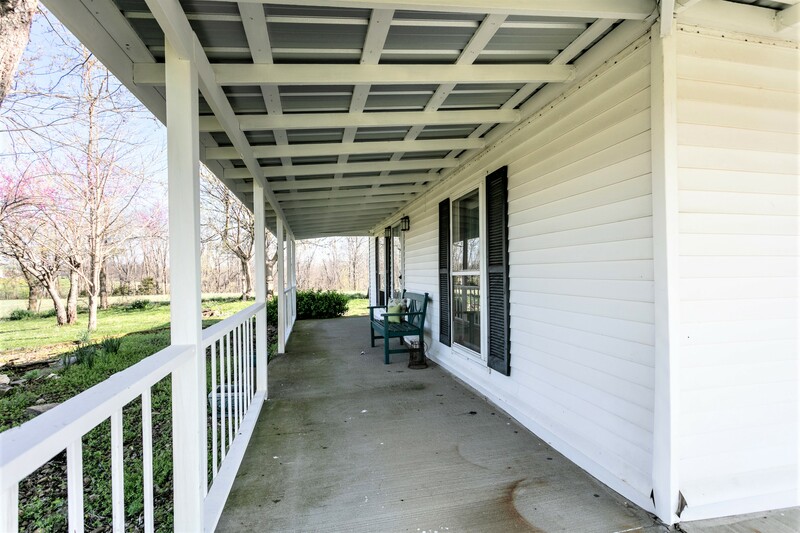 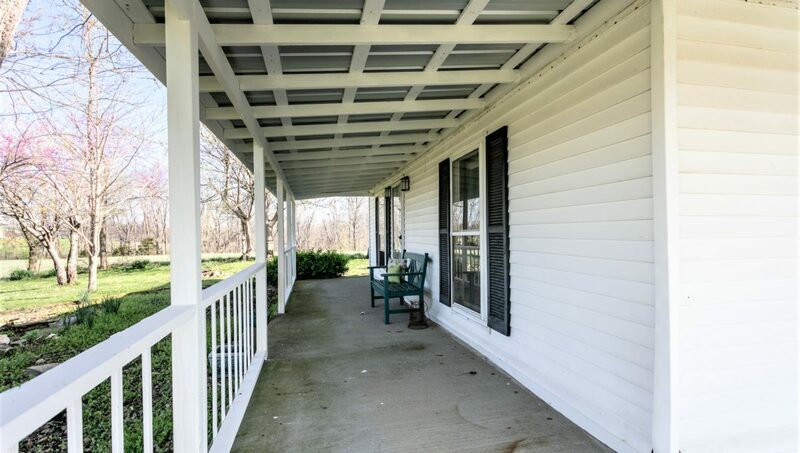 Outside you will enjoy taking it easy & taking in those panoramic views from the wrap-around porch encompassing the front, rear & right side of the home…Plus lots of nice shade trees & so much more…Including a shiny new low maintenance metal roof that was just installed in January 2019! 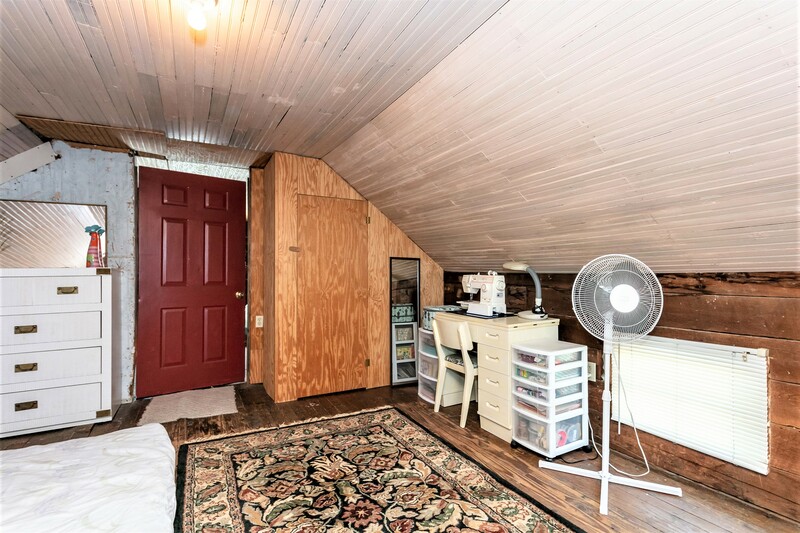 Outside also offers a 12′ X 16′ storage building, an 8′ X 4′ chicken coop & a 28′ X 32′ metal barn w/ loft storage & a frost-free water hydrant! 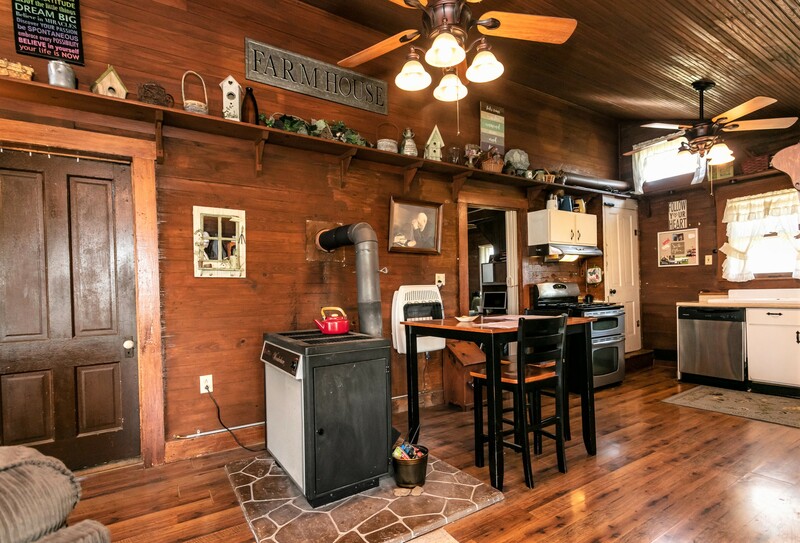 As an added bonus…The Sellers will also throw in an old tractor at no charge! 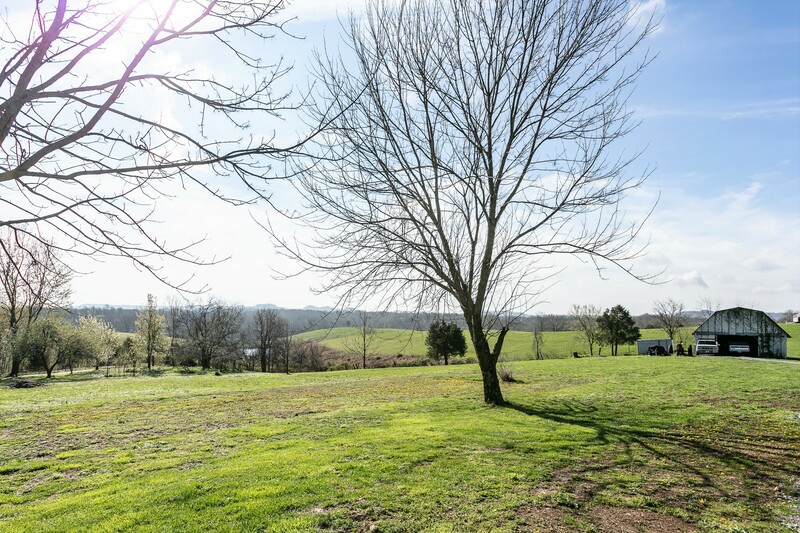 All this on a wonderful 1.806 acre (+/-) spread of land in God’s country! 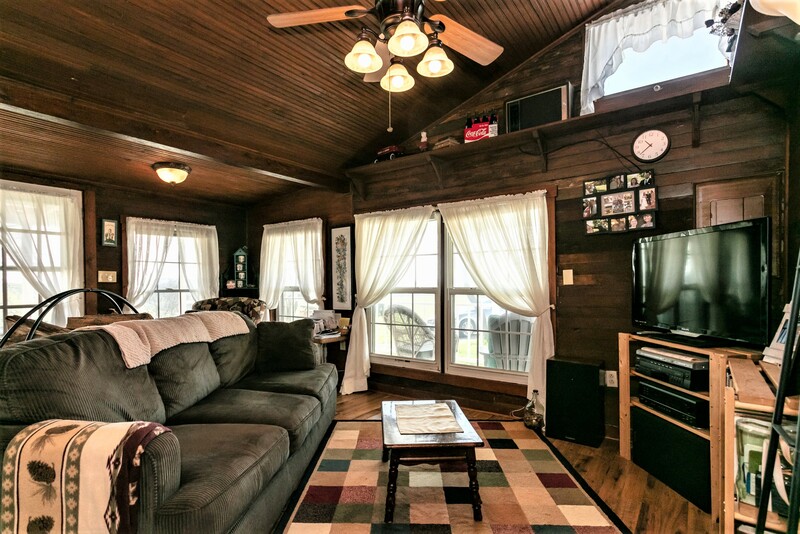 Did we mention the price…ONLY $69,900?!!! 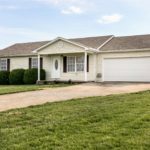 Call SARAH TURNER for all the details on this exceptional real estate value.